We're stoked to reveal that LSM has just signed a two-year deal with ON3P. It's been amazing to see a brand with such a grassroots history grow to the level where it can sign one of the biggest names in the game right now. In 2012 Lucas was crowned the winner of Superunknown IX, despite not even having been selected as one of the twelve finalists. Nobody knew so at the time, but that decision would prove to change the face of skiing. Lucas was the first name in The Bunch crew to go bigtime and in doing so he turned the industry spotlight in the direction of the rest of the crew. Love them or hate them, they have been the defining new influence in the ski industry of the past five years. ON3P have built a fantastic team, which has grown with the brand over the years, and this has a feeling of the next chapter in the story about it. "We strive to be different from other ski companies. 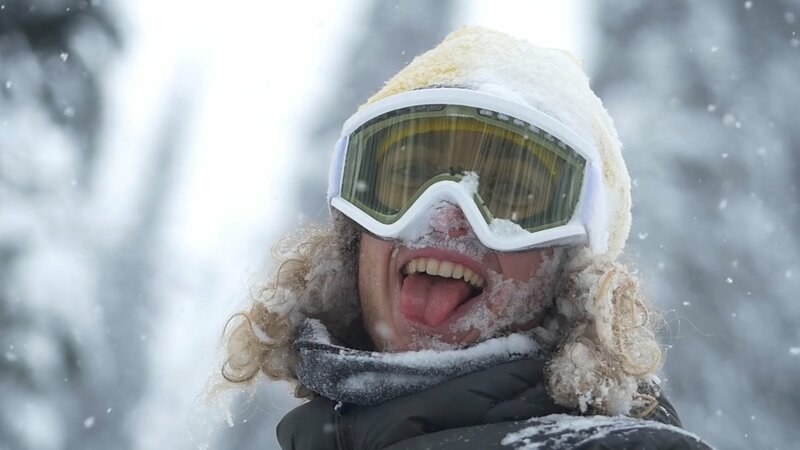 Lucas is a unique, ultra-creative, and different type of skier than most athletes today," Jay Volak, ON3P's Team Manager told me when I asked him about the move. "From his take on what is possible on skis, both in the backcountry and in the streets, to his commitment to protect the planet from further damage caused by carbon emissions and heavier human activity, LSM lines up perfectly with what ON3P is trying to do not only now, but also in the years to come." Jay added that ON3P are looking to step up their own environmental efforts and are "excited to be working with Lucas on ways to offset our carbon footprint and find the most environmentally friendly materials beyond our already sustainable bamboo cores". Lucas is a mellow, intelligent and considered guy who is, above all else, passionate about his friends and his beliefs. In light of this, the move to ON3P makes sense above and beyond a great skier joining a great brand. He sees it as "a great opportunity to work more closely with a smaller company and to be on the same team as Magnus and Bmack is huge! With Karl, Antuu and Meeks, it's shaping up as one of the illest teams in skiing right now! There are lots of reasons why ON3P is the natural next step, but being able to work on ski design and helping ON3P become one of the most eco-friendly ski companies is super gangster I think". To us it seems like a perfect match of rider and company and we cannot wait to see what the partnership produces in the coming years.